Finishing a series of articles about stock indices and their role in the world market, it is worth noting the stock indices of America. This article will not include US stock indices, as we have already considered them. Despite the fact that most of the US stock markets are represented by the United States, the stock indices of Canada, Mexico and Brazil play a significant role in southern and northern America. Canadian stock index S&P/TSX represents 244 companies with the largest capitalization traded on the Toronto Stock Exchange. Capitalization of companies included in this index exceeds the capitalization of such European indices separately as: DAX, CAC 40 and FTSEMIB, that makes this index very significant in the international trading arena. Mex IPC – the main stock index of Mexico includes 35 companies traded on the Mexican Stock Exchange. It represents directly the stock market of Mexico, and can act as an additional indicator for trading on the Mexican peso. 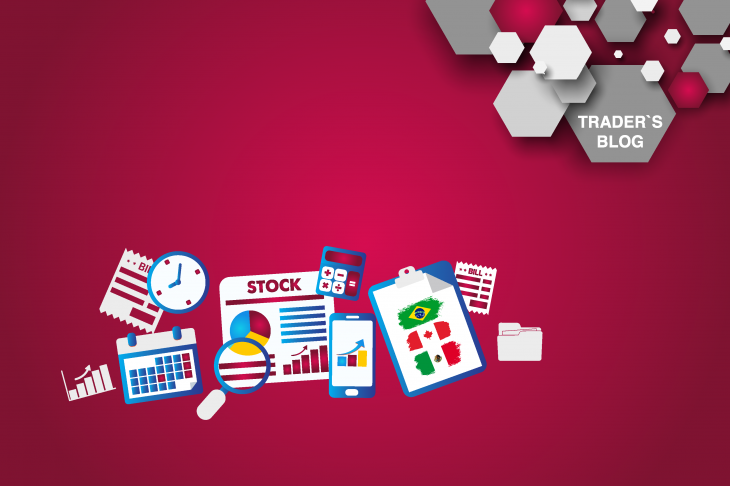 BOVESPA is Brazil’s stock index, represents 71 companies traded on the São Paulo Stock Exchange. It is also an excellent additional indicator for trading in the Brazilian real. These indices have a very high degree of correlation. This is particularly true for the Brazilian and Mexican index, as the level of economies of these countries refers to the developing countries, that makes the dynamics of the indices very similar. Separately, it is worth noting the Canadian index, as Canada has a developed market economy and the Canadian index was correctly compared with the US stock indices. Stock indices remain a significant tool for any economy, indicating the development of the economy. Therefore, this tool should be closely used in trade. Also, do not forget to read other articles on stock indices.